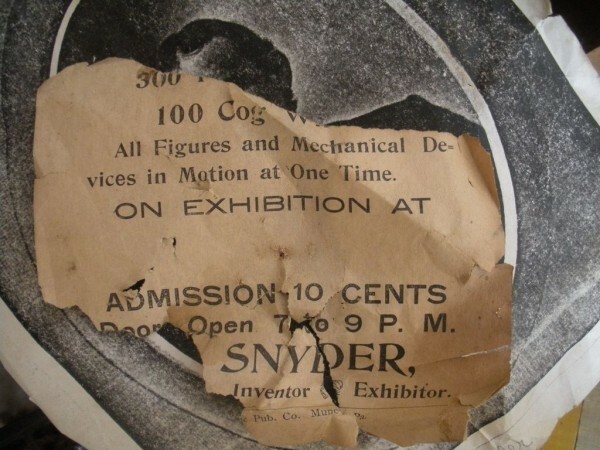 S E Snyder. 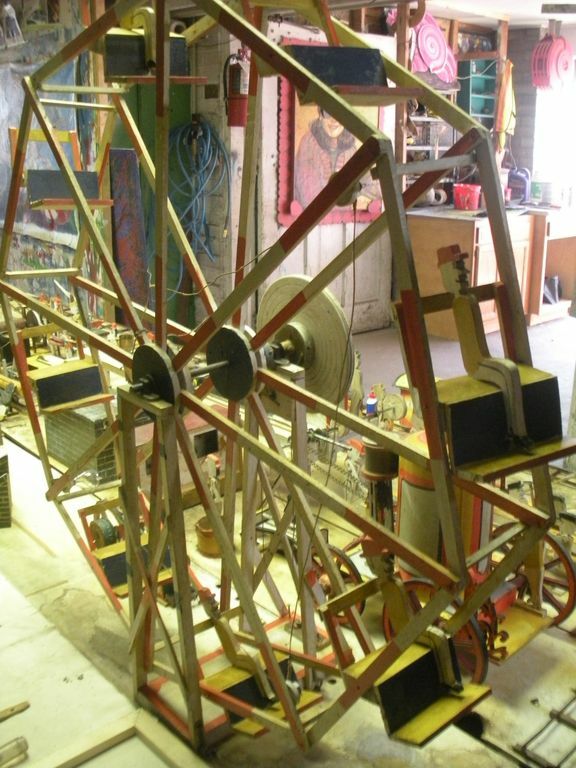 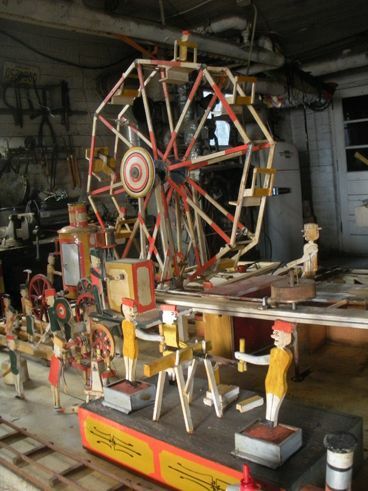 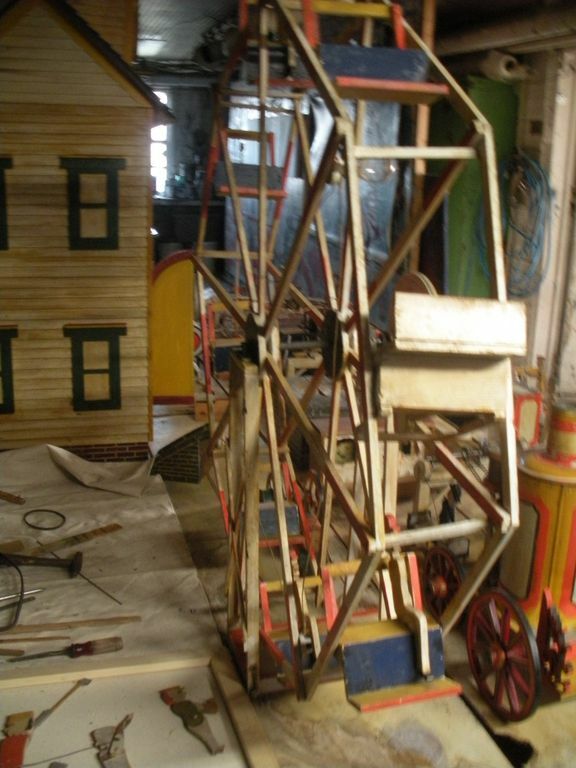 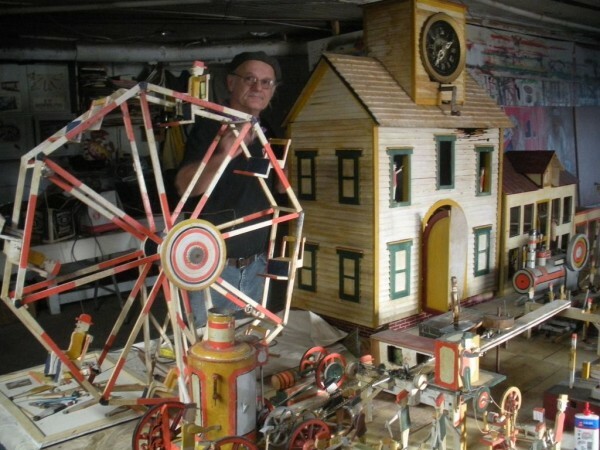 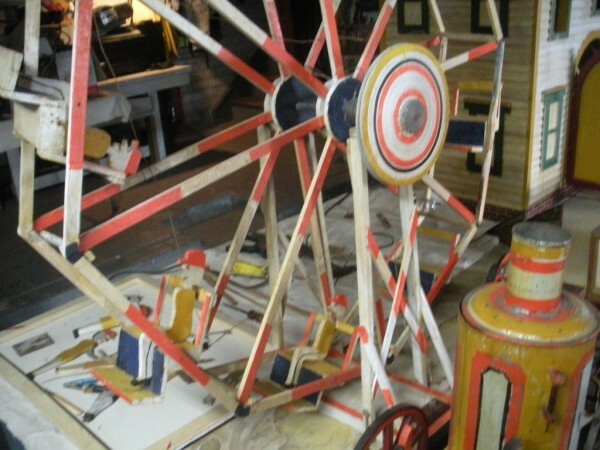 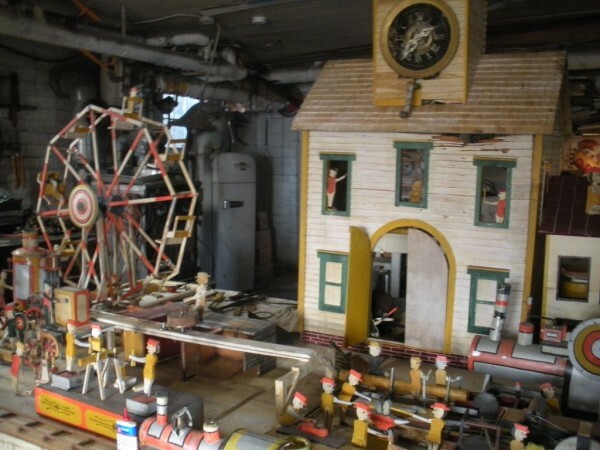 Diorama fits into 5 crates with one crate protecting the 3′ ornate ferris wheel, two smaller crates hold a clock and very large springs and other mechanical parts used to operate this magnificent automaton. 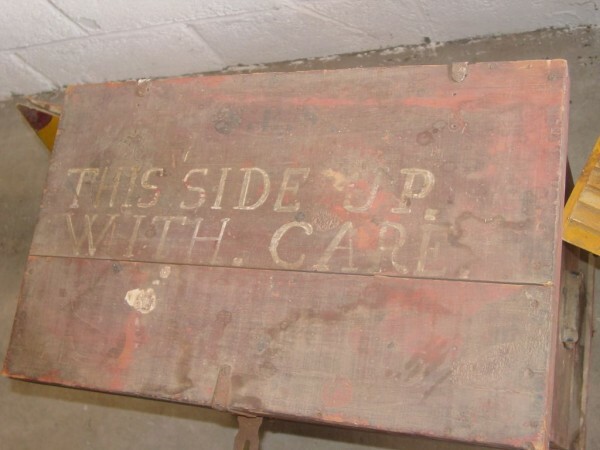 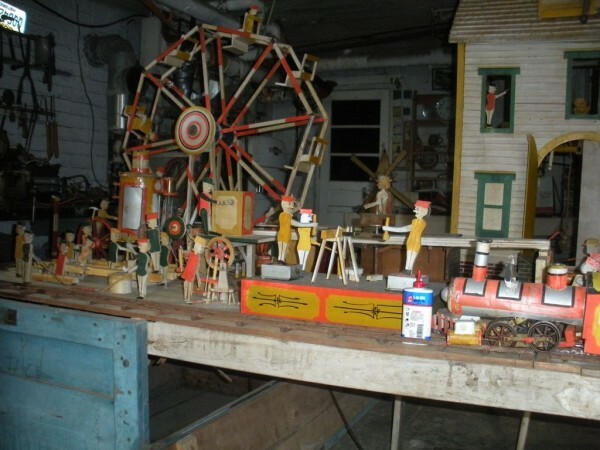 Two main and largest of the blue painted crates houses four 3′ x 6′ platform tables. 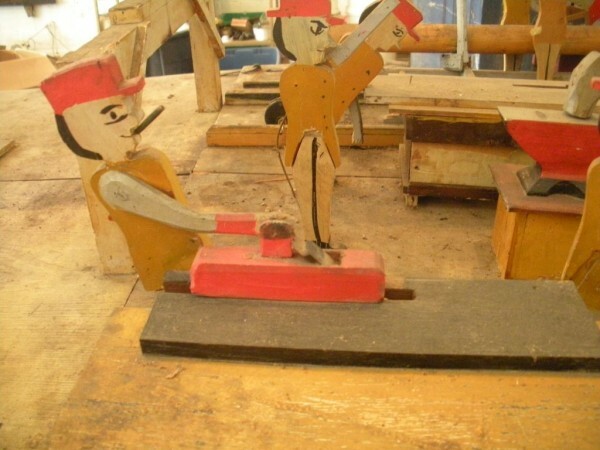 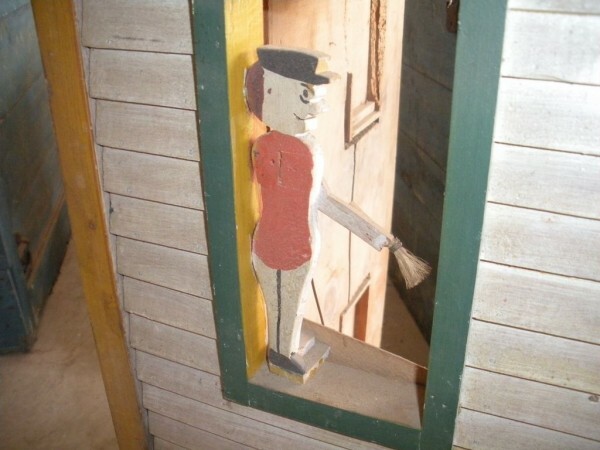 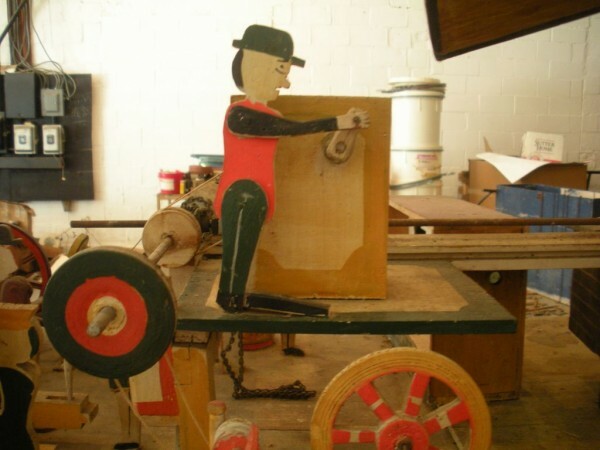 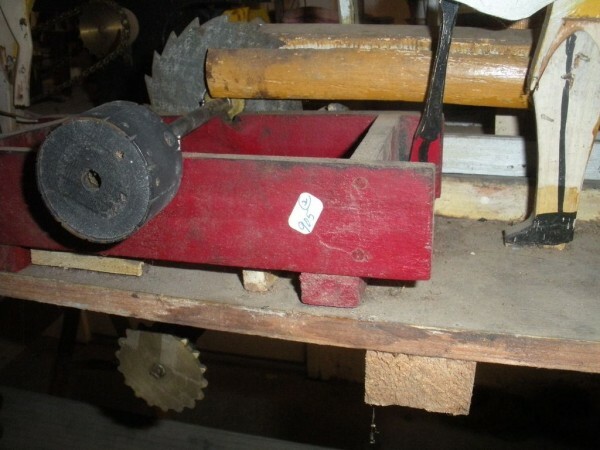 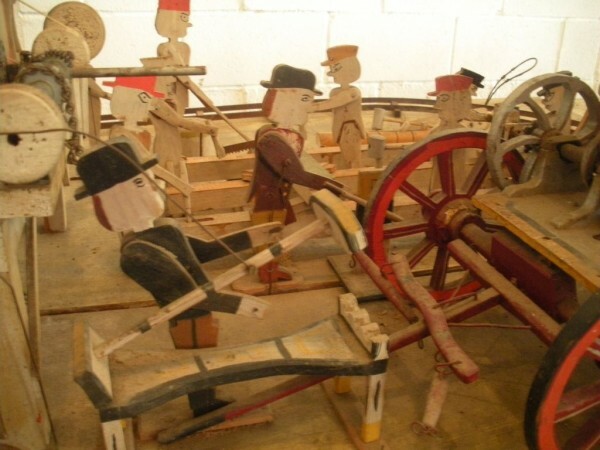 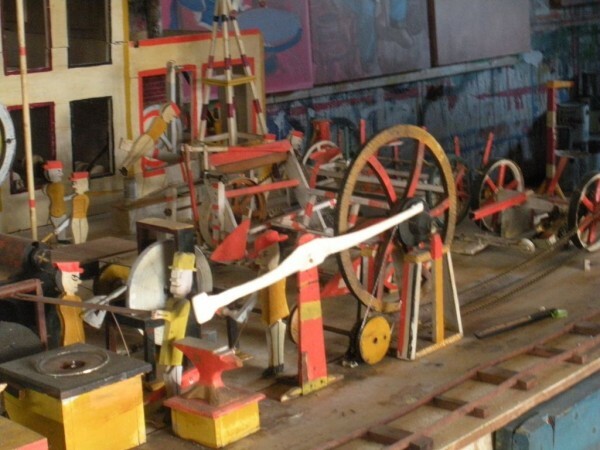 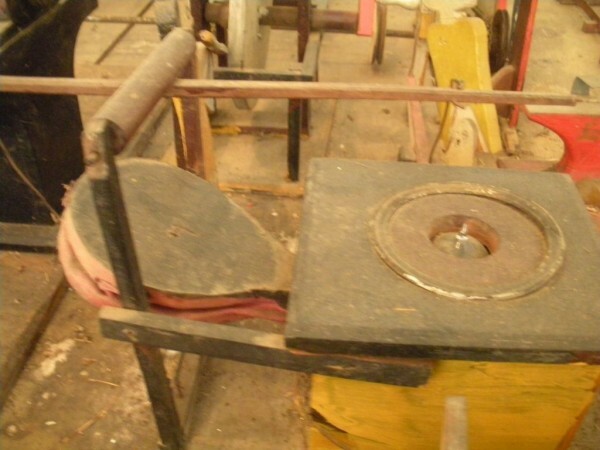 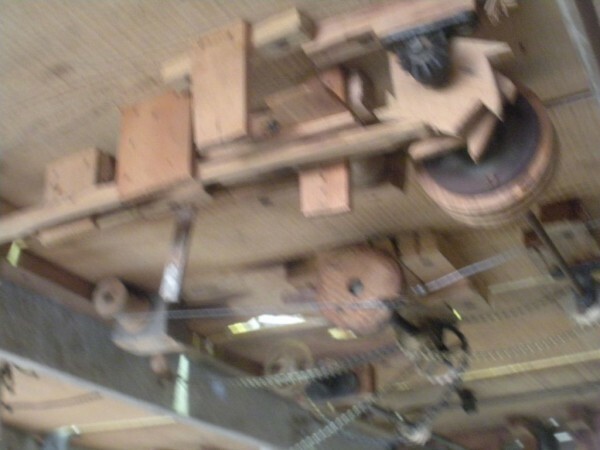 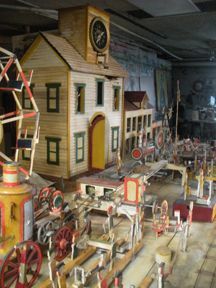 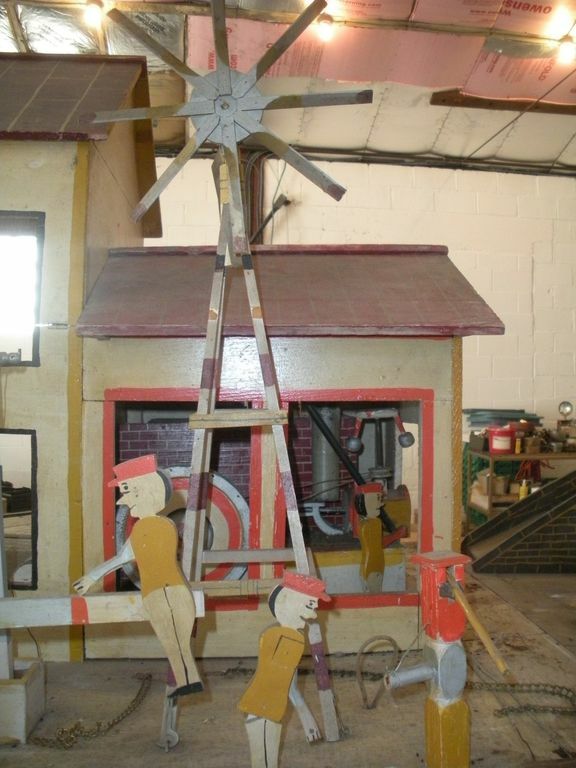 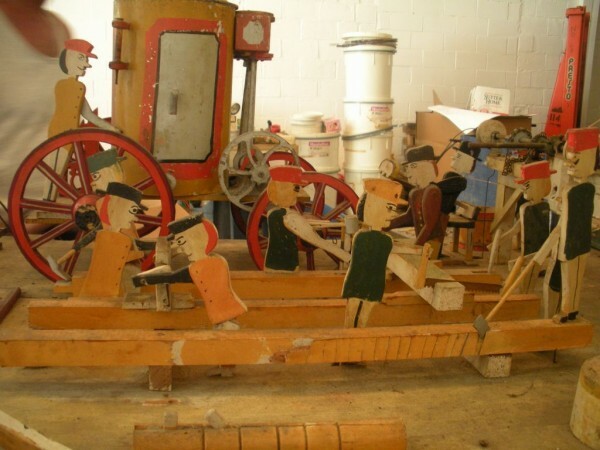 Connected to the tables are dozens of handmade, whirligig-style men engaged in various 19th century activities such as sawing logs into planks, working an iron forge, men working in a grist mill and a working windmill with a real water pond that activates a fisherman. 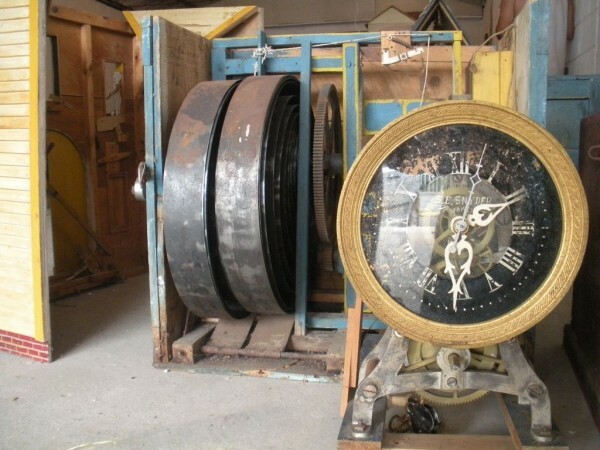 These are a few of the movements that will amaze the new buyer. 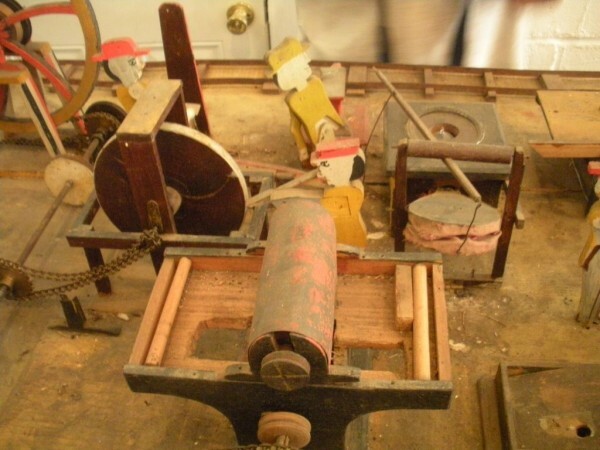 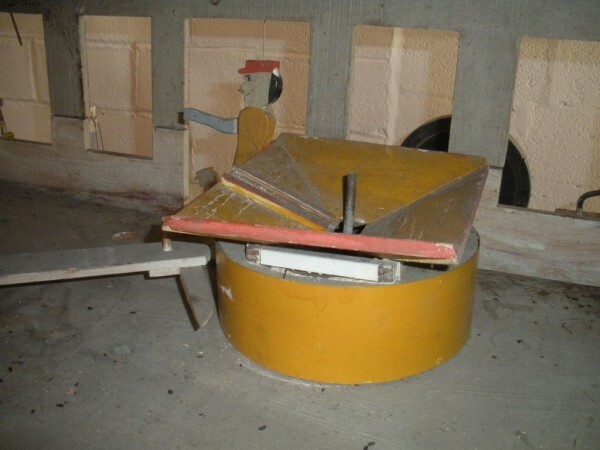 All the machinery and men pictured on the tables are in motion when the clock’s main spring is fully wound. 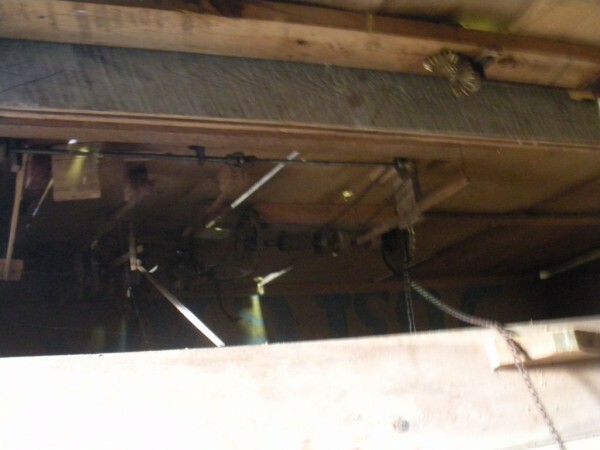 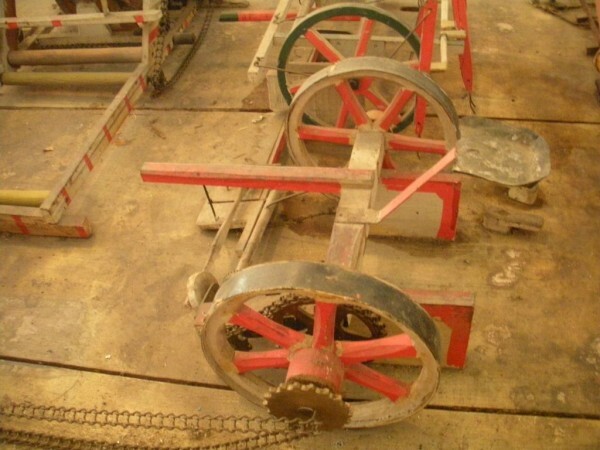 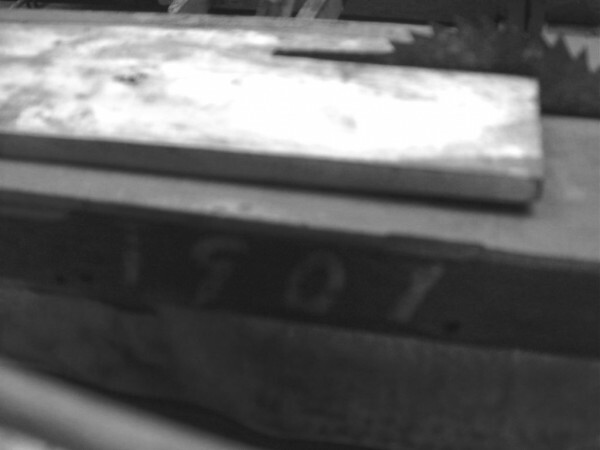 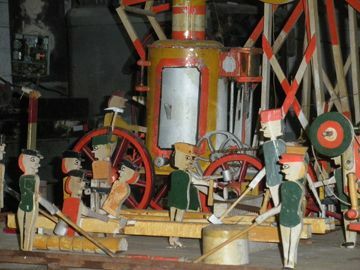 There is a separate electric motor powered train that runs across the front of the display painted with the letters S.B.& B. Underneath the tables are a complex grouping of cogwheels, pulleys and hand carved wooden escapements, brass rods with gear end and small gauge chains that put everything into motion. 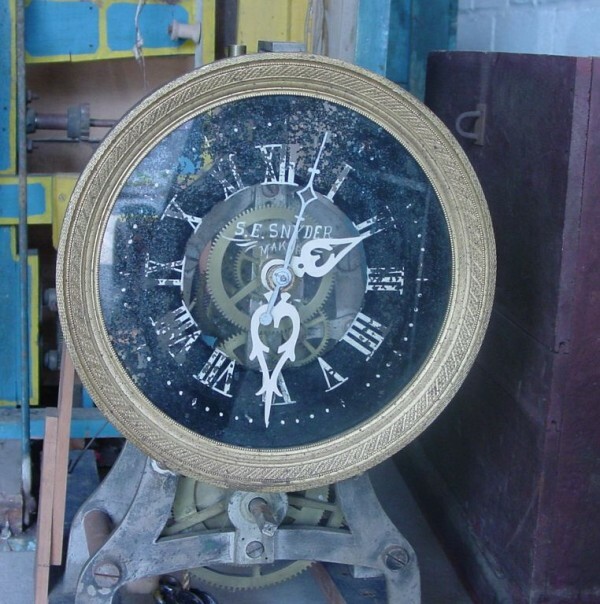 The large central building holds the clock and it’s mechanisms to power everything. 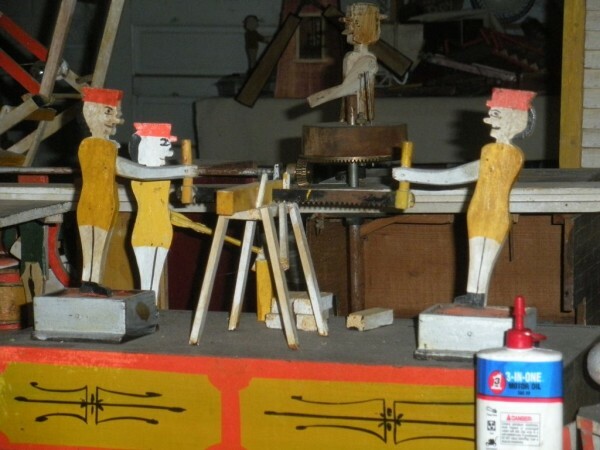 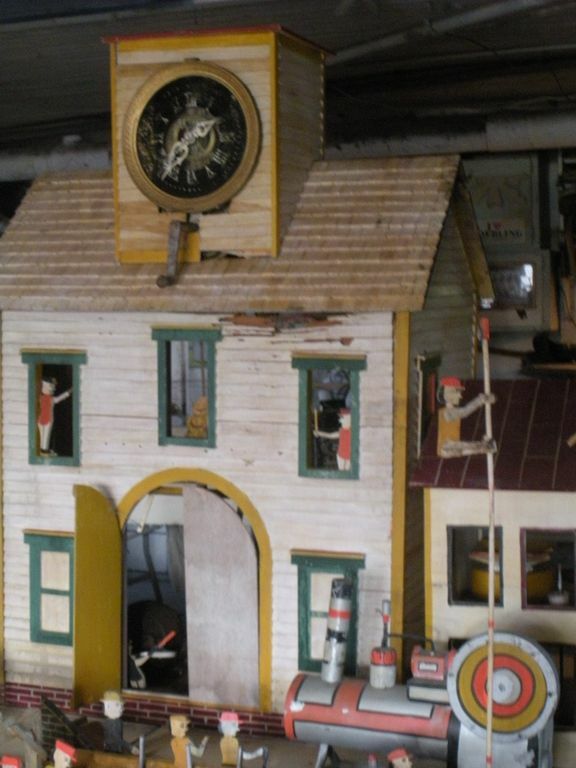 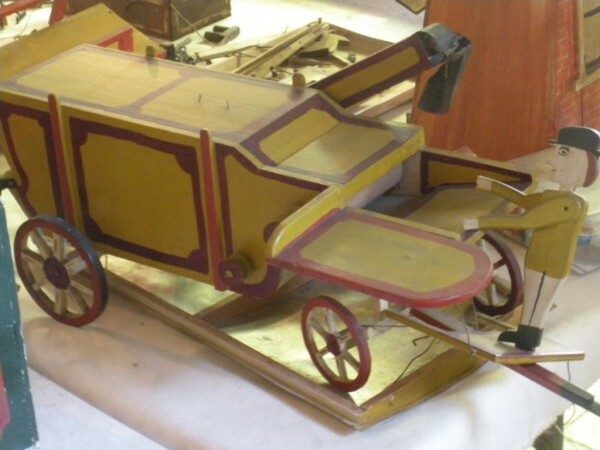 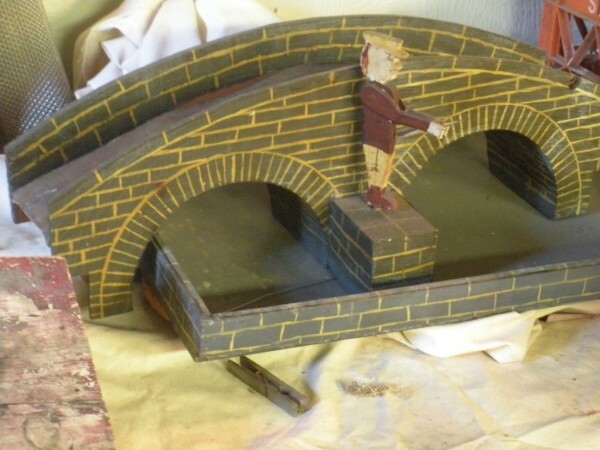 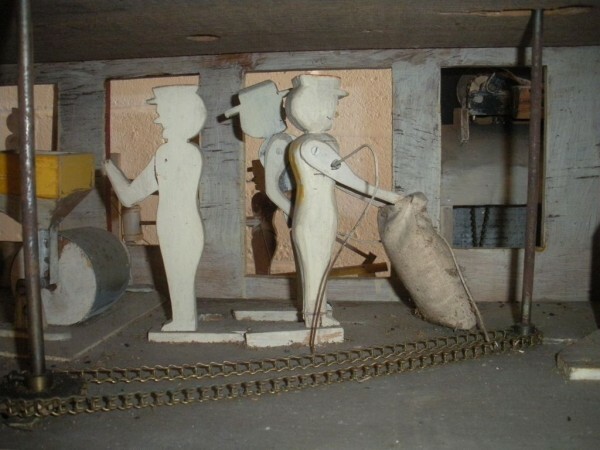 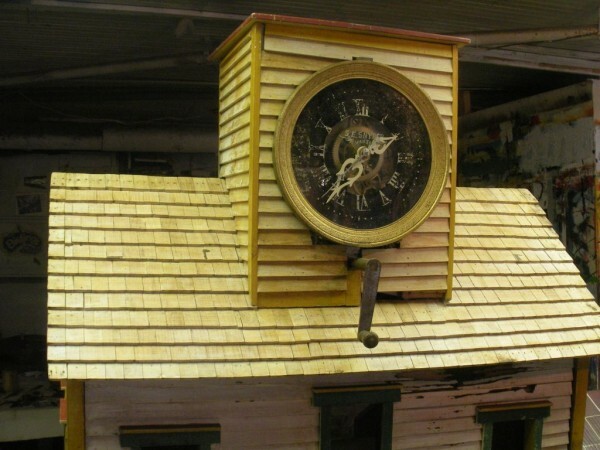 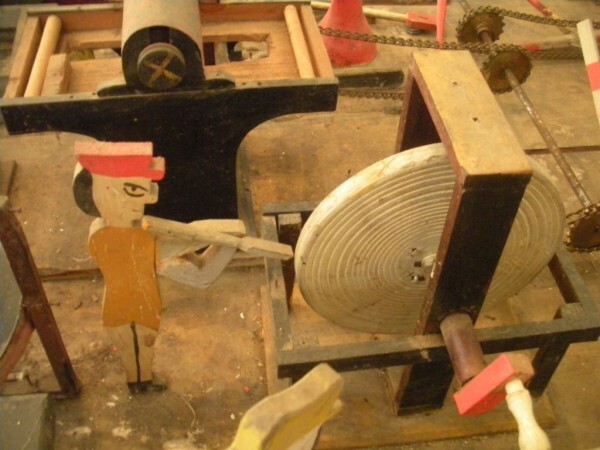 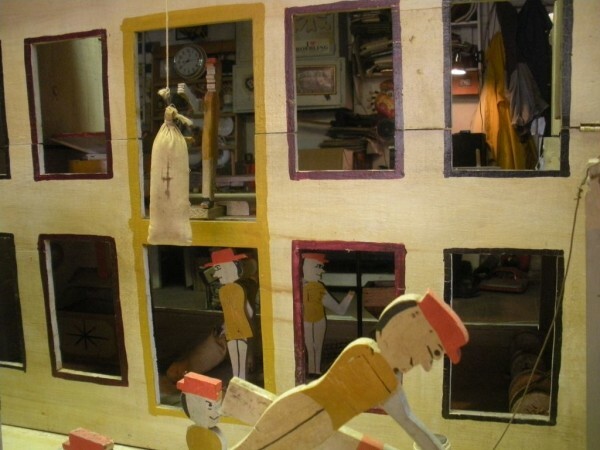 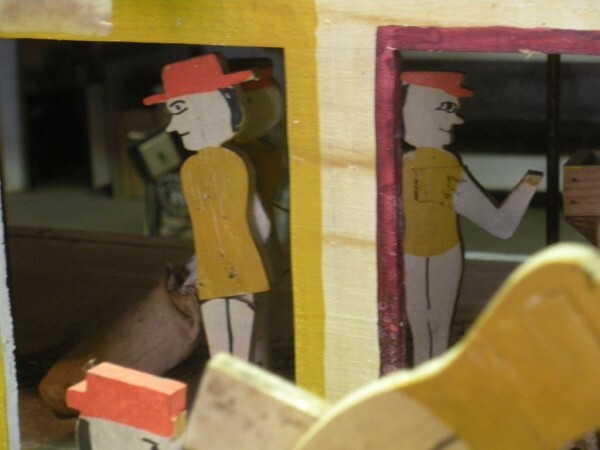 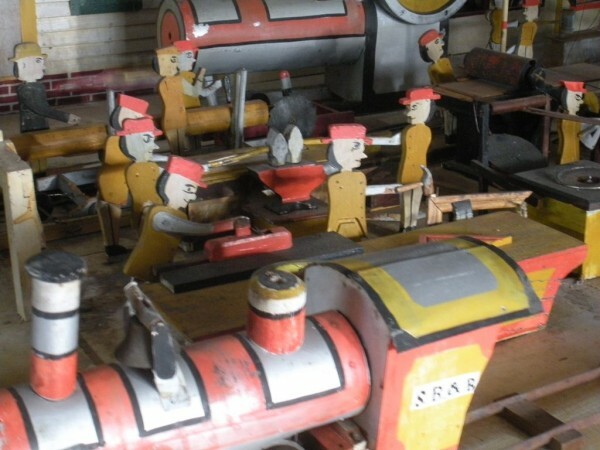 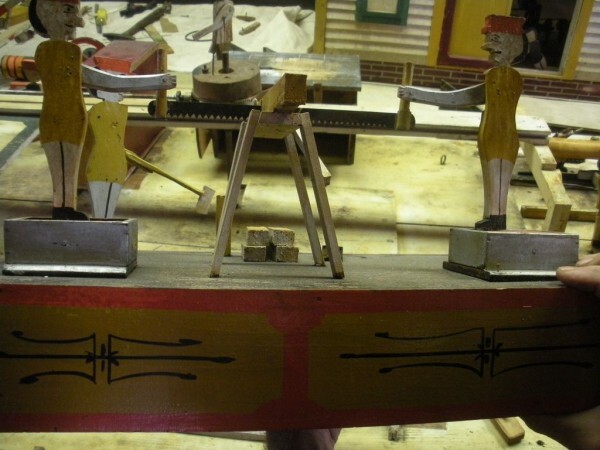 Extensive research and restoration has been done to this most unusual diorama but additional tweaking and adjustments will be necessary to get the automaton to operate correctly at its’ final destination. 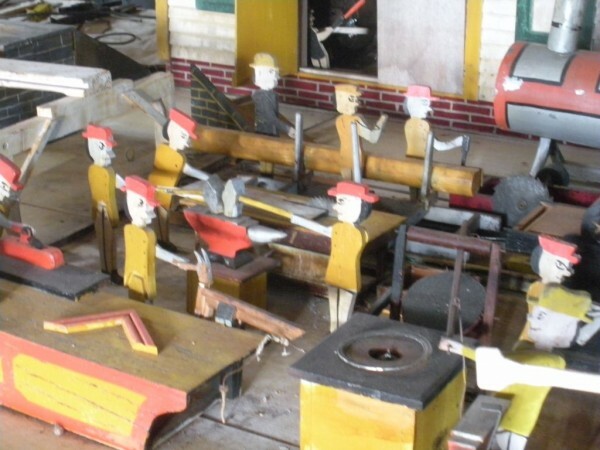 Please ask questions and take a look at this hyperlink address for additional details and research data.